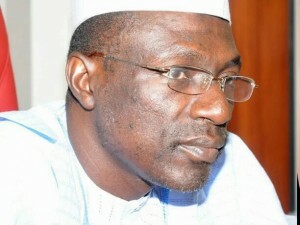 Resulting from varying court inductions as regarding internal leadeeship crisis rocking the main opposition political party in Nigeria, West Africa, People’s Democratic Party (PDP),the National Board of Trustees (BoT) Chairman, Senator (Dr) Walid Jibrin, on Friday said the party’s convention will hold in Portharcourt, Rivers State, South-south Nigeria as scheduled, based on the party’s constitution and guidelines. Senator Jibrin who stated this while briefing newsmen in Kaduna, however attributed the crisis rocking the party to both internal and external forces. He then expressed optimism that inspite of the challenges, ‎that the party is taking necessary steps to resolve the crisis, restore the its glory through a genuine reconciliation and mediation that will make the party come out stronger to win all elections and take over power in 2019. According to him, “All the happenings is internal democracy and it is bound to happen, challenges are coming from both internal and external forces and are bound to happen. “We are yet to see any judgement suspending the National convention, which ever way, if we decide ‎to appeal and we are given accelerated hearing, nothing will stop the convention. “We will get the judgment copy and study it and thereafter take necessary actions, but whoever is out to destroy our efforts, particularly the Edo primaries, God will not forgive such person‎ because we have all the INEC documents authenticating the Edo primaries.” He said. In view of this, he called on those having any court case to withdrawn such case or cases in the interest of the party, stressing that court cases is not a good omen for the party. Meanwhile, he is also calling on members to remain calm and law abiding and shun personal attacks on individuals. “We have observed that interest purported to be shown by some people who are committed to killing PDP, we will X-ray the situation because we are opposition party dealing with issues that will help Nigeria rather than abusing individuals. According to the elder statesman, “the BoT is up to the task to resolve the problems after due consultation” adding that “God will not allow anybody to be used to destroy the party”. He averred that a true party man knowns that the decision of the party is supreme, appealing that a true party man should not allow selfish and personal interest override his or her sense of judgement. He also called on politicians to practice politics with caution, adding that “politics is not madness‎” and should not be practised as such.